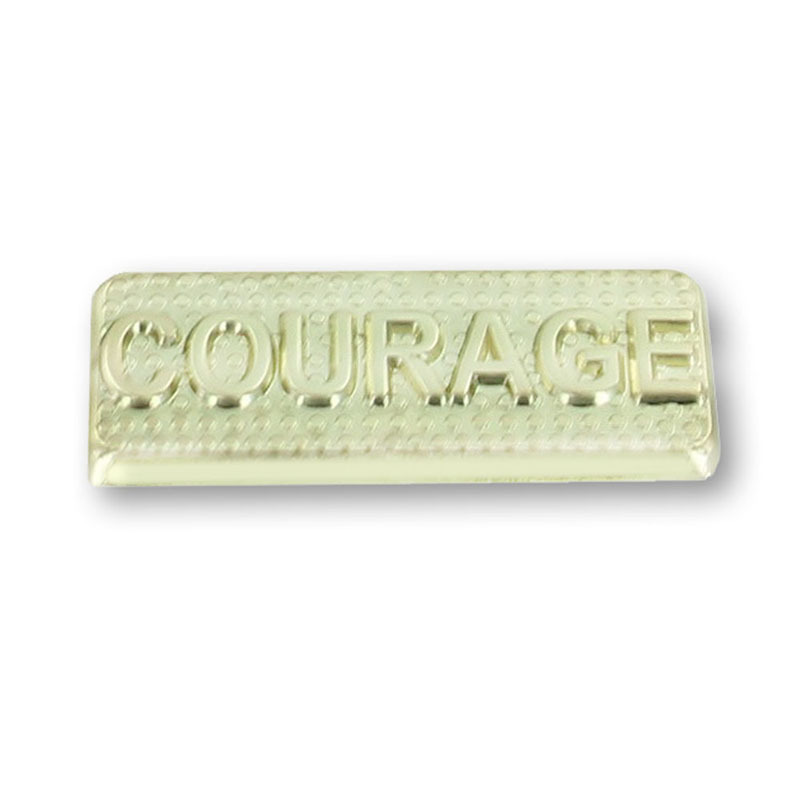 Item Description: Courage lapel pin. Bright gold color finish with long nail clutch. 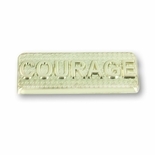 Size is 1-1/8 inch width x 3/8 inch height.